Watch as these ex battery hens taste freedom for the first time. Never before have they seen grass and most likely have never even been outdoors like most factory farm hens. Chicken Heaven On Earth is a sanctuary for abused, abandoned, and unwanted chickens and other small pets. We are so happy to see that others are helping make a difference too by rescuing ex battery hens. "We collected 56 rescued battery hens from the Battery Hen Welfare Trust in Chulmleigh (www.bhwt.org.uk), Devon on the 29th Dec 2011. 3 days before battery cages became illegal in favour of the still horrific 'enriched' battery cages. The girls will now live out their lives free ranging Stock Wood Farm to their hearts contents"! These sweet abused hens were rescued from factory farming and are seeing grass and rain for the first time. You can see how timid, sweet and shy they are as they explore their newfound freedom. Filmed by Leo & Hen. Stockwood Farm. heartandsoil.blogspot.com. Ex Battery Hen Shows Extreme Intelligence! 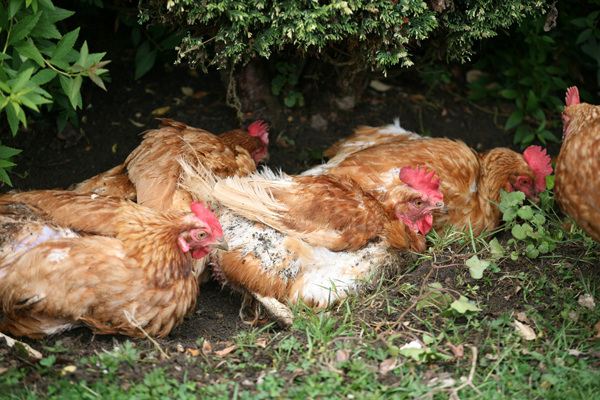 Watch as these three ex factory farm hens get their first taste of freedom. Detailed comparison between Free Range Chickens & Battery Hens and How You Can Help Stop Commercial Factory Farming Chicken Abuse.